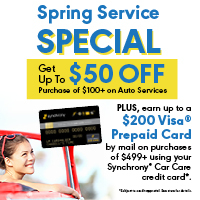 Get $20, $30 or $50 off auto services. 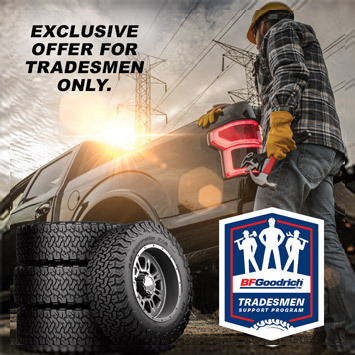 Qualifying Tradesmen can receive $70 or $100 off a set of 4 new BFGoodrich® All-Terrain T/A® KO2 tires plus a 30-Day Satisfaction Guarantee and enrollment in the Worksite/Roadside Assistance Program. 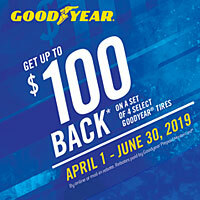 Click the link below to see if you qualify and enter to win a trip to Baja 1000 or Mint 400! 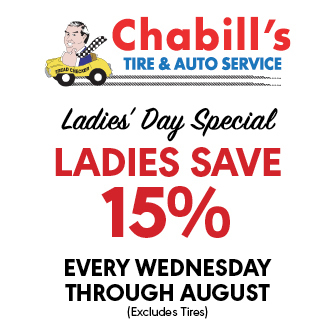 Ladies get 15% OFF every Wednesday through August! 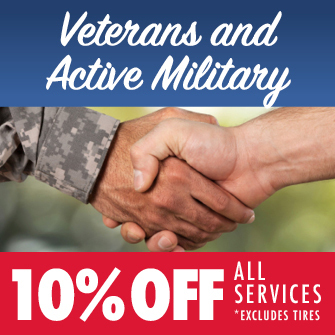 Veterans and Active Military. 10% Off All Services. 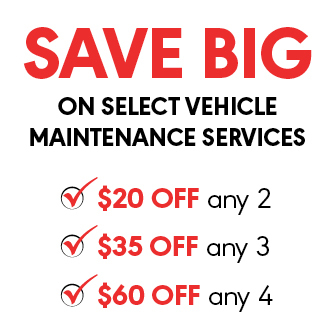 Save Big on Select Maintenance Services. 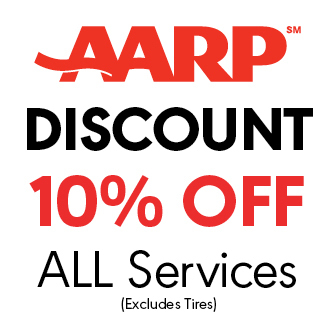 AARP Discount. 10% off all services. *Excludes Tires.